Somalia has been at war with itself since 1991, and my family fled the country at the peak of the civil war that year. Over the course of the following decade, I lived and studied in India. The civil war has left the country with many scars: political instability, insecurity, a dysfunctional government, no functioning public and private institutions, economic destitution, clan disputes and violence, the formation of terrorist groups, and piracy. So after my studies, I decided to return to Somalia to contribute to the rebuilding of the nation. But arriving in Mogadishu in 2003, nothing prepared me for the shock at the level of destruction and the suffering of my people, especially women and children. Over the following years I worked for a variety of development organizations primarily focused on improving the lives of women and children. These organizations dealt with issues of reproductive health, HIV/AIDS, Female Genital Mutilation (FGM), and gender inequality. Despite marginal gains, I was frustrated by the lack of overall improvement; there was a huge gap between grassroots efforts to address the challenges and national laws and policies intended to respond to them. I realized that no matter what we did, we would not make long-term improvements to people's’ lives without having the political will of government officials and other leaders make those issues a priority. 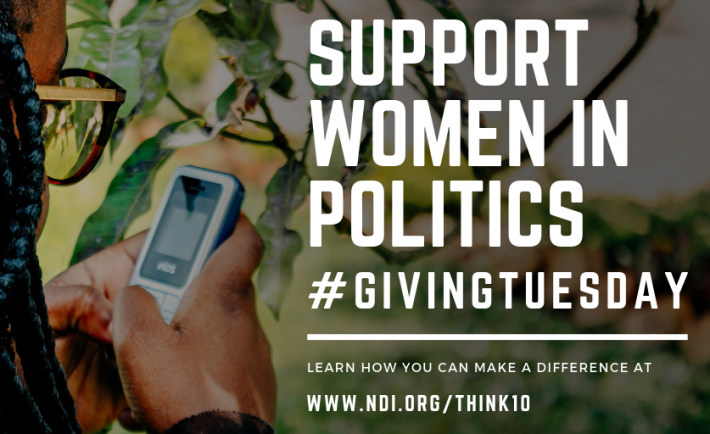 That realization led me to join NDI in 2010, so I could gain access to the lawmakers, particularly female parliamentarians, and help improve the daily lives of the most vulnerable Somalis. I was in disbelief to learn of the barriers female MPs themselves faced, including harassment and intimidation, limited resources, and the denial of being able to participate fully in political processes. Their lack of capacity to address these issues was also poignant. As a result of this work I became increasingly interested in supporting and building the capacities of female politicians so they could be a vehicle for positive change and development in Somalia. I worked closely with female legislators and civil society leaders to collaboratively lobby religious leaders, traditional elders, and parliament at-large to enact a law prohibiting Female Genital Mutilation (FGM) and to integrate it into the provisional constitution the country passed in 2012. This was a remarkable victory for me personally – but I also knew that this was just the beginning. In 2013, I was selected to be NDI’s Andi Parhamovich Fellow. The Fellowship in DC was a critical opportunity to develop my project on women caucuses. 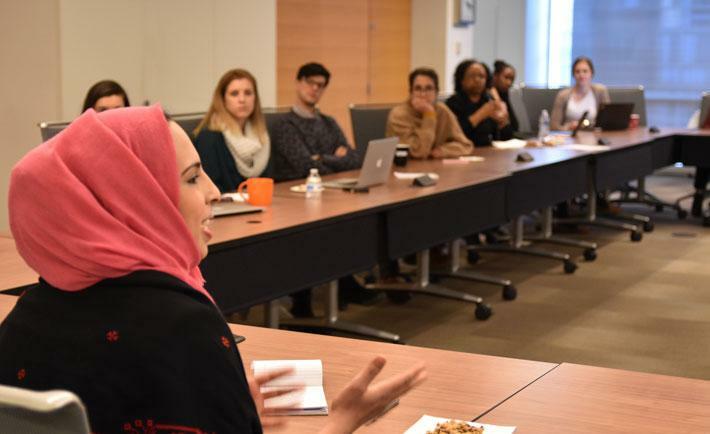 It also allowed me to hone my technical skills, build my network, and take back best practices to the Somalia program. One of the highlights was my visit to the Maryland State Legislature, where I learned more about women caucuses and their relationship with civil society. As part of my project, I was guided through the creation of a training module tailored to the capacity needs of women MPs in Somalia. I also had the sincere pleasure of interacting with the Parhamovich family and appreciated the warmth with which they welcomed me to the United States. My visit to Marietta College (where Andi studied) was a memorable trip during my Fellowship; there I got another great opportunity to spend with Andi’s Family. Upon completion of the Fellowship, I went back to my position at NDI Somalia and continued working with the Somali women legislators to strengthen their capacity. I supported the re-establishment of the Somali Women Parliamentarians’ Association (SOWPA). I was also able to bring together 25 women MPs and civil society representatives to conduct a gender audit of the Somali provisional constitution and make recommendations to the Independent Constitutional Review and Implementation Commission (ICRIC). One of the recommendations was to have the 30 percent quota for women’s participation enshrined in the constitution. Although the 30 percent was never enshrined in the provisional constitution, in the lead up to the September 2012 elections, Somali leaders and regional stakeholders met several times and came up with a political agreement (Garowe Principles II) which committed to allocating 30 percent of the federal parliament seats to female candidates. 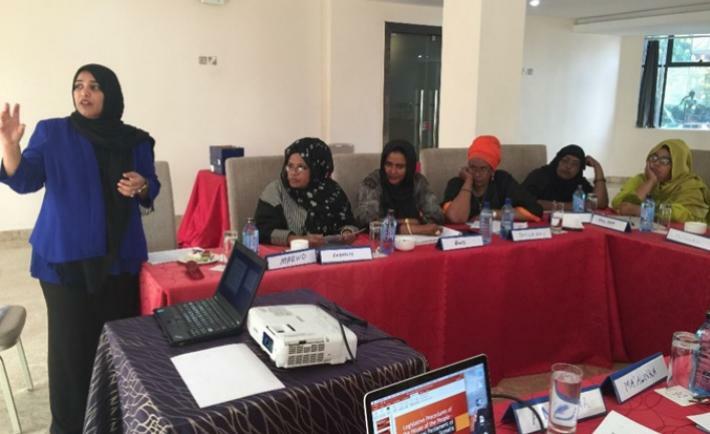 During the recent 2016/17 elections in Somalia, NDI worked closely with women in parliament and civil society to advocate for a 30 percent quota for women throughout the electoral process. Though the 30 percent target was not quite realized, the achievement of 25 percent representation was a great victory for Somali women. Previously the representation had stood at only 14 percent. Currently, I am the Program Manager for NDI’s East Africa Regional Women’s program based in Nairobi, Kenya. The program brings together women legislators from four countries: Kenya, South Sudan, Somalia, and Uganda. Our goal is to strengthen their ability to advocate for their policy priorities, expand their involvement within political processes, and build a network of female leaders to promote women’s participation in the full range of political processes within the region, which include peace negotiations, constitution development, transitional elections, and new parliaments. 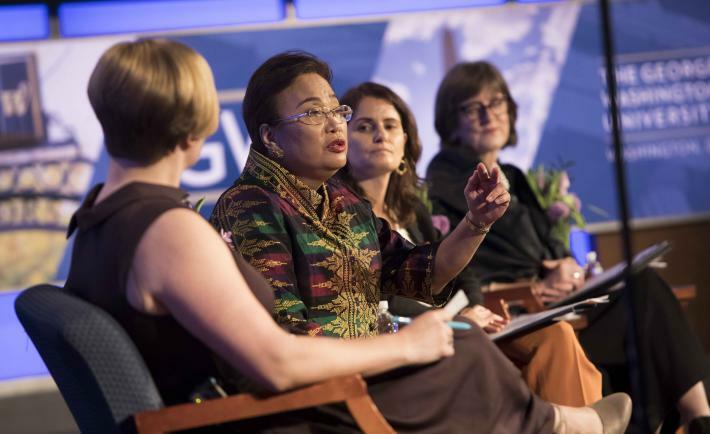 Last year, national caucuses from these four countries formally established a regional coalition known as the Women’s Parliamentary Association (WPA) in the East Africa-based Intergovernmental Authority on Development (IGAD) region. Unsurprisingly given the neighborhood, the WPA identified peace and security as the association’s priority policy issue. There is so much to be done to bring peace and security to East Africa, and I believe that women parliamentarians can play a critical role in supporting sustainable peace, building inclusive states, bridging divides, and achieving reconciliation. Here, too, Andi’s continuing legacy, is a powerful one. Based in Kenya, Hodan Ahmed is the NDI Resident Program Manager for Southern & East Africa Regional Programs. She was the 2013 Andi Parhamovich Fellow in Washington, DC.